Avery Hall died peacefully on December 20 after 10 years of mishaps and memory loss. Born in 1932, he lived his early childhood in the manse of the Charlotte Congregational Church, where his father was the pastor. When the family moved to Burlington, he attended Burlington schools and graduated from the University of Vermont with a degree in civil engineering. His work life went from surveying to a long stint overseeing the State of Vermont’s buildings, then to the formation of Northern Engineering and, ultimately, to private consulting. On leaving the state’s employ, he studied and took the professional engineering exams to become a licensed mechanical engineer, the focus of his work and his interest. He was ahead of his time at the state in advocating alternative forms of energy and energy conservation, work that became his specialty in the ’80s and ’90s when he advised and developed plans for many schools, hospitals and public buildings in Vermont and New Hampshire. With the mounting cost of liability insurance, Avery gradually retired in the ’90s. Raised as a preacher’s kid, Avery did not spurn the church but chose his own way. 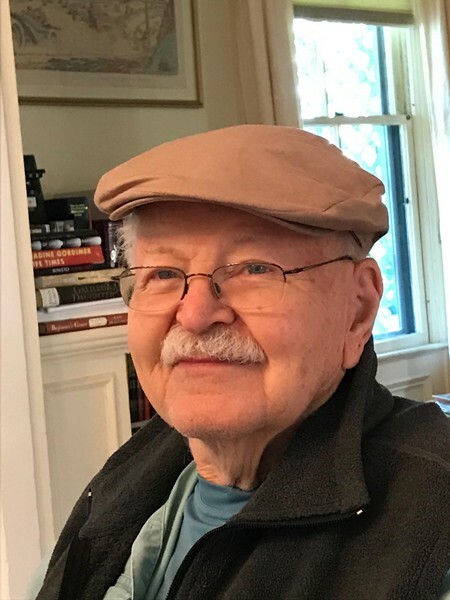 He was involved in the formation of Christ Church Presbyterian during the ’60s, a storefront church that met monthly for all-day celebrations and maintained prison and coffeehouse missions. During this time, the group did dog and pony shows about its work and was politically active. Avery was proud to have participated in the March on Washington. Avery was an early participant in the parent-led School House, an independent elementary school which two of his children attended, and he embraced Shaker Mountain School, an alternative middle school based on experiential learning that his son Ben attended. Involved with saving both the Flynn Theater and the Fletcher Free Library, Avery brought in recognized Boston engineers to provide assurances that the Flynn ceiling stencils could be retained after the sprinklers froze and flooded and, similarly, that the library could be structurally stabilized and should not be replaced. Finally, in the 1980s, Avery served on Burlington’s then-Waterfront Board, a subcommittee of the Planning Commission, and with John Franco, city attorney, identified the Public Use Doctrine as a means of enabling the city to take and develop the Burlington waterfront for public use. Continuing his interest in Lake Champlain, Avery was instrumental in establishing a wastewater system for the 95 camps on Thompson’s Point, working with fellow camp owner Jim Foster and engaging the participation of the Town of Charlotte to divert waste from the lake. Avery’s interests spanned sailing, skiing, nature and fixing things, but his lifelong passion was antique and specialty cars. Over the years, he owned, restored and drove many fine automobiles, taking particular pride in his three 1920s Packards. Some of his driving adventures included a round trip road rally to Nova Scotia, racing BMWs on the ice and especially the 1985 Great American Race from Los Angeles to New York City in a seven-passenger 1934 Packard Twelve sedan, ending at the World Trade Center on July 4. The Packard was restored and driven by a group of Vermont friends. Avery was active in the Vermont Automobile Enthusiasts, enjoyed adding public educational features to the annual meets and advocated for the formation of the VAE Scholarship Fund at Vermont Technical Center. Avery married his first wife, Abigail, just after college, and they welcomed to their family three wonderful children: Tim, Ben and Leslie. By mutual agreement, the marriage ended in divorce. In 1974, Avery married Andrea Rogers, supporting her Church Street Center and Flynn Theater careers. They shared child raising, home, camp and travel until Avery was felled by a stroke on his birthday in 2016. Avery’s final six months were spent at Quarry Hill Residence in memory care until a hip fracture sent him to the hospital and subsequently to Burlington Health and Rehab, where he passed away. The family wishes to thank the caregivers at Quarry Hill in Reflections and the various other locations where he received care in recent years, as well as the VNA Hospice Team and Dr. Mark Pitcher and his nurse Pauline. Avery was predeceased by his sister Jean Spasyk. He is survived by his sister Nancy Baldwin of Fairport, N.Y.; his wife, Andrea Rogers Hall, of Burlington; his former wife, Abigail McIntosh, of South Burlington; his son Timothy Hall and grandchildren Catherine Lynn and Robert of Derry, N.H.; his son Benjamin (Lisa) and grandsons Cody and Mike of Paducah and Murray, Ky., and granddaughter Jessica Jones (Daniel) of Denton, Texas; and daughter Leslie Bronsveld (Eric) of Del Ray Beach, Fla.; plus numerous cousins. A memorial service will be held at College Street Congregational Church in Burlington on Saturday, January 12, at 2 p.m., with a reception to follow. Gifts in his memory may be made to the College Street Church, 265 College St., Burlington, VT 05401; the Vermont Automobile Enthusiasts Scholarship Fund, P.O. Box 1064, Montpelier, VT 05601; or an organization of your choice. Otherwise, raise a glass of red wine, dance up a storm and remember the good times.